It’s time to see what you got! This is a new contest with a single prize for first place, no seconds – I’m feeling a little capitalistic-optimistic-jingoistic today. 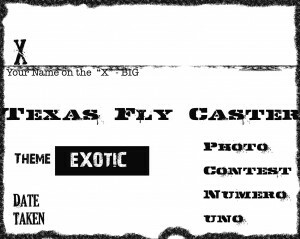 The theme for the month long contest is “Exotic,” and will be related in some way to fly fishing, or the culture of fly fishing. 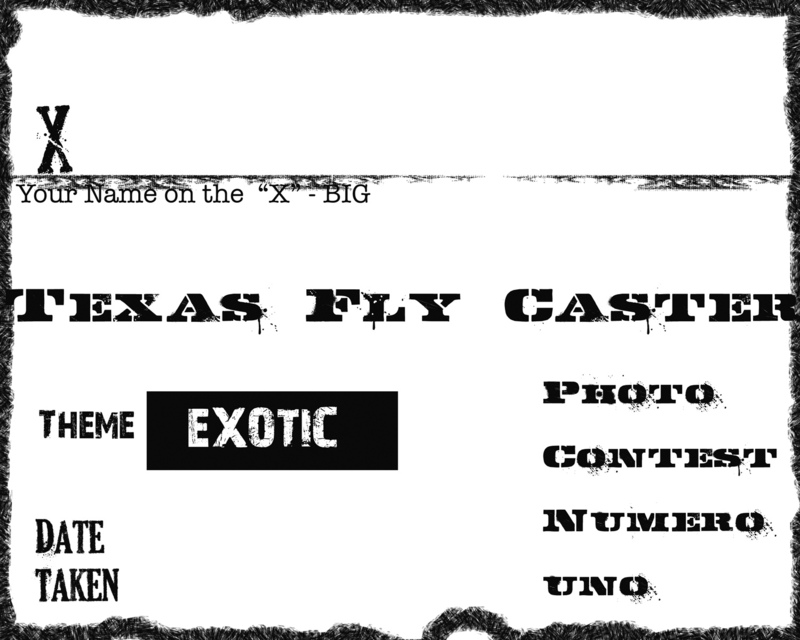 If you don’t know what that is, be sure to check Texas Fly Caster archives. I am confident that you do know and will send in one entry per person culminating in a final five to be judged by readers – registered users, when all is said and done. 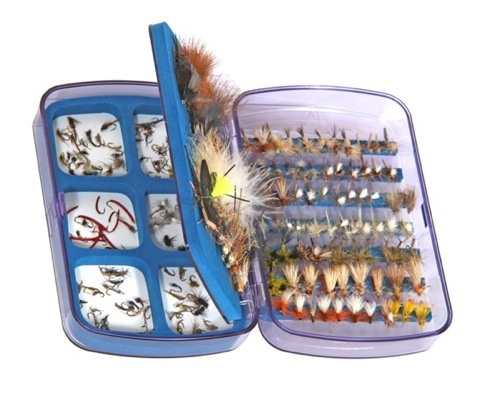 The first place award this month is a Cliff’s Super Day’s Worth fly box (not including flies of course), and it will be awarded to the person who gets the most registered votes in the final. You can find all details on the contest and the necessary form on the “Contest” page of the site. I am still fleshing out this contest, so if you have suggestions please suggest … otherwise don’t complain. There are roughly a dozen stories in the queue related to freshwater trout fishing in Texas, Oklahoma and the final entries from Colorado. Be sure to check back daily as these will be coming in rapid fire succession, and if you snooze, you have to dig into the archives. Your image will not qualify unless a second image includes the above. Click to enlarge and drag it off and print it.